Recycling should be part of everyone’s lives, as it is in the best interest of everyone on the planet. Here are some simple ways to incorporate recycling into your daily routine. Reduce, reuse and recycle – If you have items that are not working but can be fixed, look at fixing them instead of buying new. Opt for more fresh produce when cooking meals and reduce the use of packaged foods. Preparing fresh food will also mean that you eat healthier food that will make you feel and look a lot better. Know what you can and can’t recycle – There are two main types of recycling, and they include real recycling and green-washed recycling. Knowing the difference can help you as a consumer buy the right items that will help you recycle correctly. 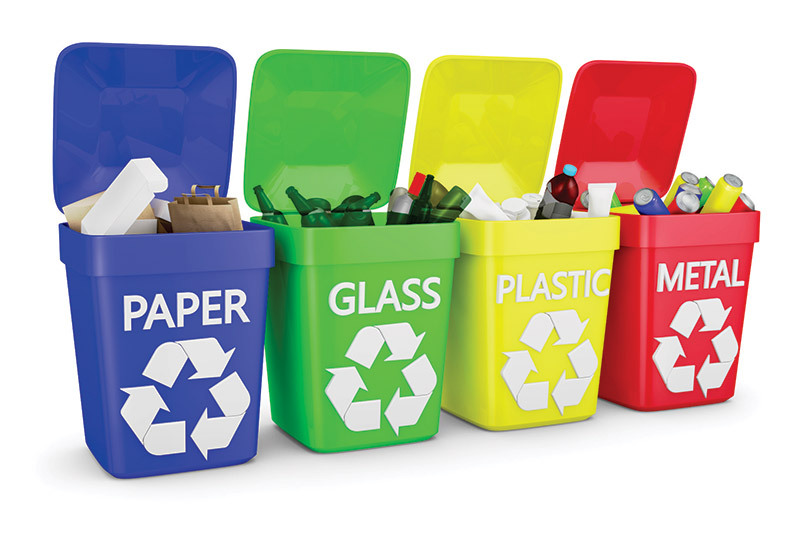 Green-washed recycling methods are used by companies who claim to recycle, but their recycling methods consume more resources than regular recycling practices. Understand how a company recycles before you opt to buy their products over others. Buy recycled – Supporting recycling means that you should buy recycled products to make a real difference in the system. Encourage an artist – If you know of an artist who uses recycled materials opt to buy their art over anyone else. You can also encourage your children to use recycled materials for their art and craft projects. Recycle your water – Rearranging your plumbing to use rainwater can be a great way to water your plants or to flush your toilets.